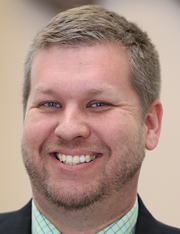 Eric Ames is Assistant Director for Marketing & Communication for the Baylor University Libraries and ITS and an adjunct lecturer in Baylor’s Department of Museum Studies. He holds a bachelor’s degree in Public Relations from Texas Tech University and a Master of Arts in Museum Studies from Baylor University. He is the author of two books on Waco history, both published nationally by Arcadia Publishing. Mr. Ames has served as the chair of the Historic Landmark Preservation Commission for the City of Waco and currently serves as president of the Hewitt Public Library Advisory Board and as chair of the Texas Conference on Digital Libraries’ Conference Planning Committee. He is active in the Texas Association of Museums, the Texas Digital Library, local cultural heritage institutions and as a consultant and founder of Ames Heritage Consulting.